Added orthopedic comfort for busy professionals. The perfect chef clog for those in the culinary profession or for someone special who loves to bake cookies or pie! 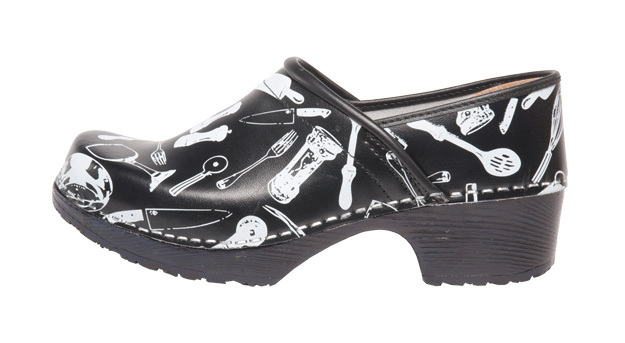 This chef inspired closed back clog is adorned with cute kitchen everyday utensil graphics. Black and White colored. The PU poly urethane bottoms are perfect for being on your feet all day. Made with leather uppers and staple construction. Bon Appetite !! The Semi-Soft clog is constructed of Italian leather uppers affixed to a semi-soft polyurethane base. The inner sole platform of our closed backs is made of natural Swedish alder wood along with a PU bottom sole which provides stability and circulation for feet to breathe properly. The wider non-skid base is quieter and grips better for those individuals on their feet all day. 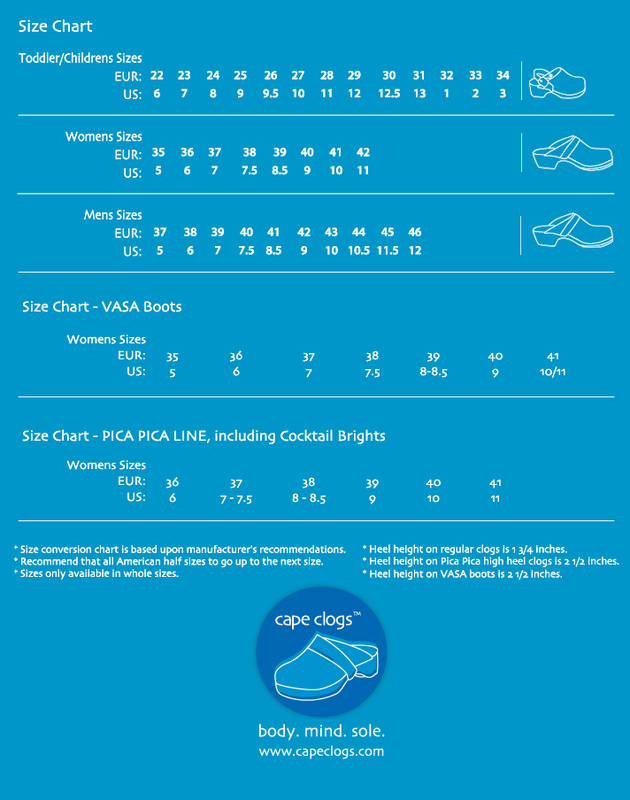 The versatile swivel back strap allows for additional ankle support. Our professional leather grade durability is great for daily wear on the job.